A great spring from a well respected manufacturer. 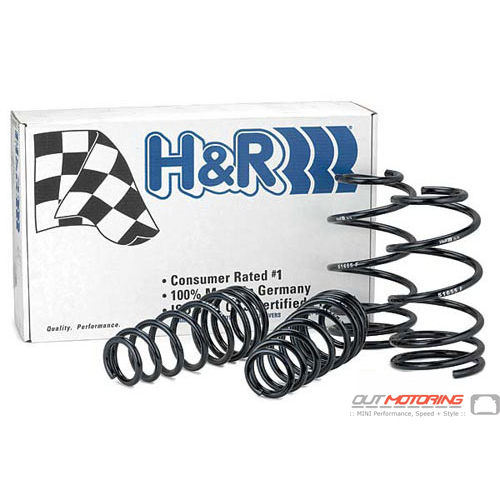 The H&R Sport springs feature a spring rate that is firmer than that of the OE MINI spring, but is still comfortable enough for daily driving. These are an excellent choice for street and occasional track use.